D. D. Home is often referred to as the greatest physical medium on record, at least the greatest one since Jesus of Nazareth. But Home may have to relinquish his top spot to Indridi Indridason of Iceland now that we have a record of his phenomena set forth in English by Dr. Erlendur Haraldsson and Loftur R. Gissurarson in their book, Indridi Indridason: The Icelandic Physical Medium, released recently by White Crow Books. Born in 1883, the son of a farmer, Indridi (below) was a printer’s apprentice who discovered his mediumistic ability in late 1904 or early 1905, after attending a mediumistic circle at the home of a relative. When he took his seat, a table reacted violently and when he got home a table there moved violently around the room. Initially, he was frightened by his ability, but he gradually came to accept it and develop it, his mediumship being at its height in 1909. He died in 1912, at age 28, after a three-year battle with typhoid fever and tuberculosis. During his four to five years of mediumship, Indridi was studied and observed by many members of the Experimental Society of Reykjavik, later called the Icelandic Society for Psychical Research. The phenomena reported by the Society included materialization of human forms, dematerializations (Indridi’s arm disappearing), levitations of both Indridi and furniture, direct writing (a pencil writing without a visible hand), automatic writing, direct voice (voices independent of the medium and others in the room), trance voice (voices coming through the entranced medium), musical instruments floating in the room and giving off music, apports, and poltergeist-type activity (shelves being torn from the wall, tables overturned, etc.). Although Indridi spoke only Icelandic and knew only a few words of Danish, “spirit communicators” came through in various other languages, including Danish, Norwegian, French, Dutch, and English. A deceased French woman often sang at the séances – sometimes using Indridi’s vocal cords and at other times using the independent voice – with just the right enunciation, while those in attendance who understood French spoke with her. At times, the researchers could hear two voices singing simultaneously – the soprano voice of the French woman and the bass voice of a man. The researchers included a number of distinguished Icelandic scientists and scholars. The detailed minutes left behind by these researchers make it clear that they were very much aware of the need for strictly controlled conditions in studying the phenomena. They strip-searched the medium, had “watchers” holding his hands and legs, had him surrounded by a large net, attached phosphorescent tape to him and various objects, and carried out their study behind locked doors. 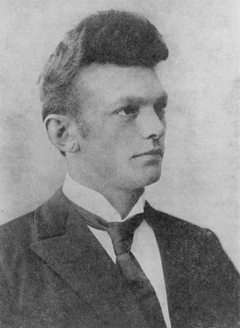 Indridi’s primary spirit control was identified as Konrad Gislason, the brother of his paternal grandfather, who had died in 1891 after a career as a professor of Icelandic and Nordic Studies in Copenhagen. During an early sitting with Indridi, the researchers reported a sofa “carried around the séance room by invisible powers, while Indridi lay prostrate upon it,” apparently in a trance state. Speaking through Indridi’s lips, Gislason invited the sitters to stand and inspect the sofa, which was at the height of their chests and to confirm that nothing was holding it up, which they did before the sofa slowly moved down to the floor. On another occasion, it was reported that Indridi floated over their heads while seated in a wicker chair. On November 24, 1905, a “spirit” introducing himself as “Mr. Jensen,” unknown to anyone present, communicated and stated that a fire was raging in a factory in Copenhagen (more than 1,300 miles from Reykjavik). It took a month before news of this fire reached Iceland, but the date and time were consistent with the communication from Jensen. While the researchers observed some phenomena, including tables moving about during daylight and also observed some phenomena under red light, they discovered that light, even red light, resulted in diminished phenomena. They would often strike a match to momentarily observe what was going on. It was noted that light caused Indridi much pain while he was in the trance state. While certain that fraud was not involved, Hannesson said he could not bring himself to believe in what he had witnessed. “It is not easy for unbelieving people to accept the theory that inanimate things move about without any natural causes,” he wrote. He added that he didn’t see much point in discussing what the “spirits” had to say about their living conditions, since proof could not be offered, but he did say that the communicating spirits retained their personality and their happiness was according to their desserts, differing a great deal in each individual case. While he felt that most of what they described would be acceptable to Christian people, there was also much that clashed with church teachings. Apparently, Indridi was not immune to low-level and mischievous spirits. On one occasion, as he was sleeping in an experimental house, he was dragged head first along the floor as two other men attempted to restrain the invisible force pulling him by holding on to his legs. The following night two chairs and a large book were thrown across the room by an entity identified as Jon Einarsson. The next morning, as Indridi was dressing, he was flung down on his bed and a bowl thrown at him. As reported by Brynjolfur Thorlaksson, Indridi was putting on his trousers when he screamed for help. 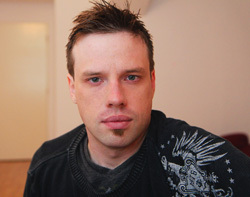 “I ran into the bedroom to him,” Thorlaksson wrote. “But then I saw a sight that I shall never forget. Indridi was floating horizontal in the air, at about the height of my chest, and swaying there to and fro, with his feet pointing towards the window, and it seems to me that the invisible power that was holding him in the air was trying to swing him out of the window.” Thorlaksson then grabbed Indridi’s legs and found himself being lifted with Indridi, until a third person ran in the room and helped hold them both down. Soon thereafter, Indridi’s spirit controls found a way to control Jon, an angry spirit who had committed suicide. In spite of the reports by the various researchers, scientists who had not been part of the research group, the press, and religious leaders scoffed, certain there had to be some trickery involved, even though they could not understand it, or it was the work of the devil. More than a hundred years later, nothing has changed. The scoffs and guffaws are much the same. Although physical mediumship does not seem to be as prominent as it was 100 to 150 years ago – probably because of all the distractions and “noise” we now have in our lives – there are still some physical mediums producing somewhat similar phenomena, although perhaps not as dynamic as those given off by Home and Indridason. For the open-minded person, this story of Indridi Indridason should add to the reports by other credible researchers involving other physical mediums and perhaps convince him or her that there really is something to such mediumship, as mind-boggling as it might be. Indridi Indridason: The Icelandic Physical Medium by Dr. Erlendur Haraldsson and Loftur R. Gissurarson is published by White Crow Books. According to a recent survey by the Pew Research Center, “nones” – people who have no religious affiliation – now make up 23 percent of the American adult population. That’s up from 16 percent in 2007. Some nones are atheists, some agnostic, and some so indifferent or so wrapped up in our materialistic world that they haven’t taken the time to figure out what they believe or don’t believe. The upward trend in nones is due to an increasing number of millennials – those people born since 1981 – turning away from religion. Cyrus Kirkpatrick, (below) a 29-year-old freelance writer living in Los Angeles, qualifies as both a none and a millennial, but that doesn’t mean he is a non-believer or a nihilist. His recently released book, Understanding Life After Death, clearly attests to that. Subtitled “An Exploration of What Awaits You, Me and Everyone We’ve Ever Known,” the book offers a comprehensive review of the evidence for an afterlife, the arguments against it, the nature of the afterlife, and the obstacles we encounter in accepting and realizing that afterlife. After reading his excellent book, I contacted him and put some questions to him by email. How did you become interested in the subject of life after death, especially at such a young age? How do you view the growing increase in “nones” among millennials? Does it necessarily suggest a more materialistic, more hedonistic lifestyle? More fear of death? If you were asked to pick three cases in annals of survival research, which ones would you choose? Why? “Firstly, the Anni Nanji tapes from the Leslie Flint physical mediumship séances. This incidence was never widely publicized, yet it remains hard evidence of survival that anybody can listen to online. In essence, an Indian doctor communicated via direct voice with his deceased wife, Anni, over the course of a decade. They were able to carry on their relationship, discussing tiny details of each other’s lives which makes the possibility of fraud almost non-existent. “Next, I always suggest to research the fairly recent Scole experiments out of England. This incidence was really a game-changer because it demonstrated how physical mediumship can occur in modern times, allowing supernatural phenomena to happen under controlled conditions. You wrote that you first started exploring the out-of-body state in 2013. Did it come quickly? Please summarize your most dynamic OBE. “The OBE state unlocked a lot of doors that were sometimes hard for me to even believe were real due to their fantastical nature. It took a few months of nightly practice, crawling out of my body and trying to get past my doorway before it became easier, at which point a couple of extremely surprising experiences happened, that involved apparent direct communication with astral residents. The OBEs reached their zenith of absurdity when, one morning, I found myself being gently tugged out of my body and visited by the ethereal presence of a snarky old British man who claimed to be the famous occultist Aleister Crowley. “This was my most dynamic experience because we had a completely regular conversation for around twenty minutes. Although I cannot confirm if his identity was really that of Crowley (I personally believe it was), it gave me a chance to have a real conversation with a so-called ‘spirit,’ which involved a mixture of completely normal, audible conversation alongside the projection of telepathic imagery; often used to aesthetically enhance the communication. If a skeptic were to say that OBEs are nothing more than dreams or products of your imagination, how would you respond to him? Do you expect to see much better evidence for survival 50 years down the road than we have now? If so, in what area of research do you think it will come? Do you see much interest in the subject of life after death among other people your age? “In person, yes. As a traveler who stays in a lot of hostels, I meet many people in my age group and younger, and very often these topics arise naturally. I will mention how I wrote a book about life after death, and suddenly people feel like they want to just gush out and tell me about all these experiences they’ve had but were unable to share them with anybody before they met me. Do your friends and relatives think you are weird? What do you say to them to justify your interest? “The ones who think I’m weirdest seem to believe I’m radioactive, and so they steer far enough away from me that I don’t have to worry about justifying anything to them. The truth is, this topic just does not resonate with a lot of people. And that’s perfectly fine. At some point in most people’s lives though, a time comes when they become curious about big questions, and then this subject may be important to them. But there’s no rush. You state that you are a secular person. Do you think we would have less chaos and turmoil in the world and enjoy greater peace of mind if all churches suddenly closed their doors and ceased to exist? Please summarize your conclusion about this big, mysterious topic known as the afterlife?